In case you were wondering? A contract was made shortly after the property went on the market, at the last minute, due to a health concern, it was withdrawn, the holidays soon followed. 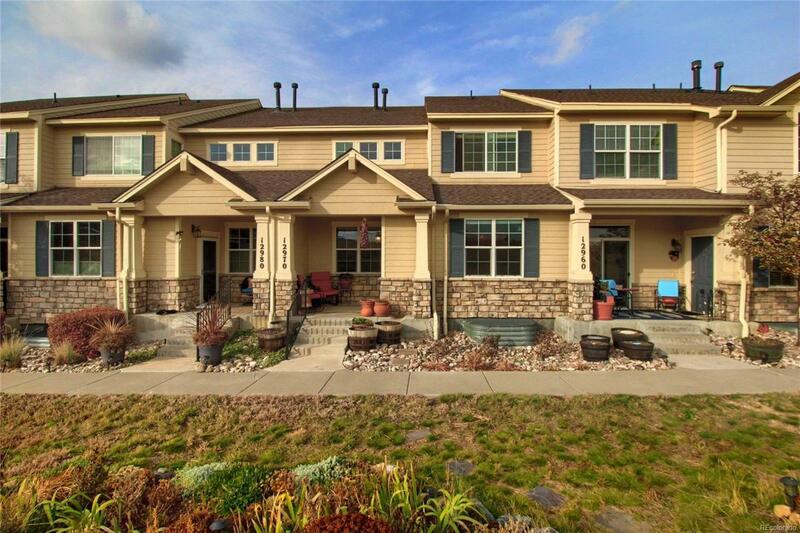 This immaculate home w/mountain, prairie & sky views, has a premium, quiet & private location. Walk to lake, playgrounds, shopping, restaurants & more. Cozy floor plan w/interchangeable living & dining spaces, vaulted ceiling, wood floors, gas range, upgraded appliances, and big pantry make living great. 2nd floor private sleeping, w/laundry. Master-bedroom w/new ceiling fan, 5-piece bath and large closet. 2nd bedroom has more amazing views, w/new ceiling fan & full private bath. Lower level can be a 3rd bedroom, guest suite, media room or roommate space w/own entrance through garage, kitchenette, bath, laundry & lots of storage. The oversized 2-car garage has pegboard, quiet belt driven opener (Wi-fi connected) and more storage. Community pool and hot tub.